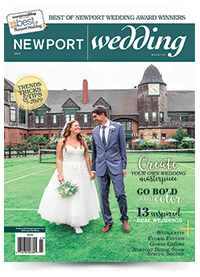 Set along a private and picturesque hillside on the northwest side of Aquidneck Island, The Newport Beach Club, is the premier site for waterfront weddings. Discover one of the only beachfront venues in Newport County where couples can say "I DO" and celebrate over the water on our enormous pier. 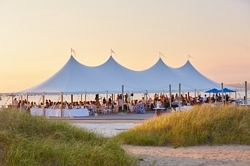 With breathtaking views of Narragansett Bay, its bridges and sunsets, your event will be unforgettable. Visit us at Rosecliff booth #17 at the 16th Annual Newport Bridal Show, Saturday, February 17, 2018. We look forward to meeting you there! Complete the form below to send Newport Beach Club an e-mail message.